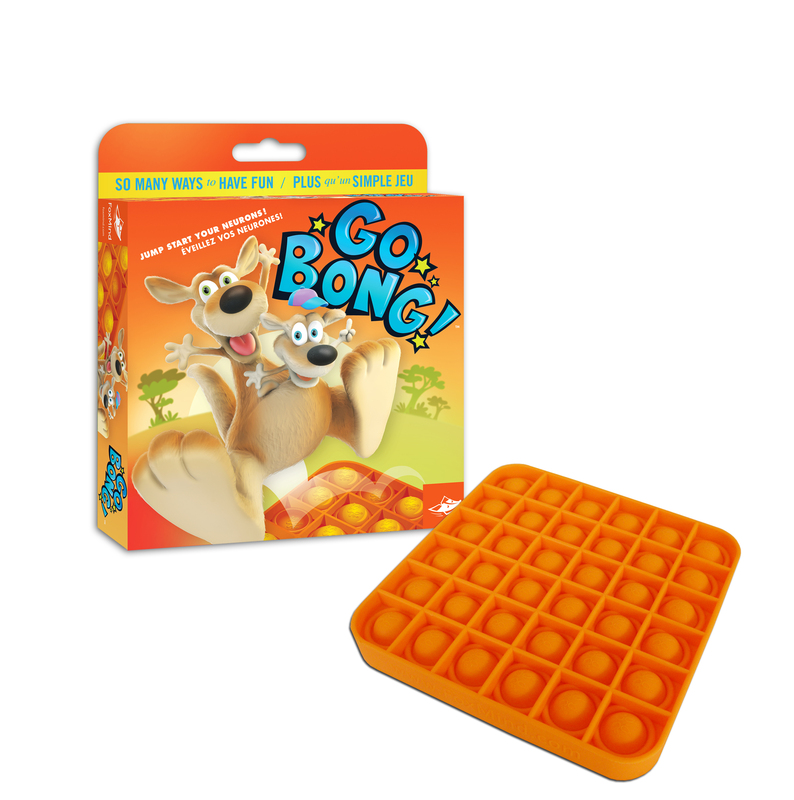 I just got this great game called Go Bong from Flat River Group. Inside you get a game board and some instructions with various options of play. This is a great little game to take on trips, it’s just the game board, everything is included on the game board, there are no pieces at all just the game board. My kids love taking this in the car when we are traveling. You can play alone or with a friend. There are a lot of different ways to play so there is a lot of variety with it. You basically take turns pushing the little bubbles down, depending on the game you are playing it will dictate how you push the bubbles. Most of the games seem to follow chess rules, there are versions to play as a knight, queen, etc. The object though on most is to press as least amount of bubbles as possible. Can really be a thinker and really helps them to learn some problem solving skills. Great game! A party game where the goal is laughter!